Life can sometimes be overwhelming, and you need a place to escape it all. Why go through the hassle of traveling somewhere else when you could relax in your very own backyard. Designing a spa in your pool comes with many benefits. 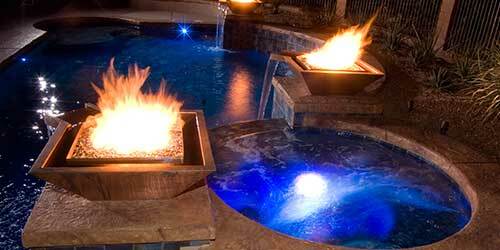 There are also several ways to customize your hot tub to meet your expectations. Here at Pools by Design, we are leaders of the market of patio pools and spas and are ready to help you build your dream jacuzzi. Your dream spa can include any features you have in mind. You can have a spillover spa or incorporate any kind of jets you want. The possibilities are limitless with us! Being in the desert, it can get pretty cold at night. Having the option to relax outside in a warm jacuzzi is one of the most appealing aspects of building a spa with your pool in Arizona. You and your guests can go for a swim in the summer or sip wine in the hot tub in the winter. This is an investment you can use year-round! 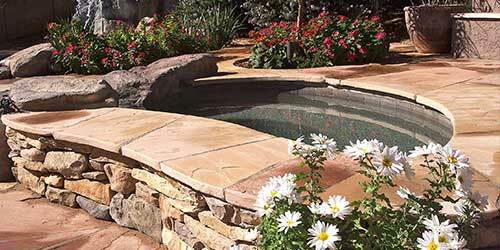 Contact Pools by Design today to start designing your outdoor spa. We are excited to work with you to help create your dream jacuzzi. We have been in the business since 2009, so we have custom made every type of jacuzzi you could imagine. Our patio pools and spas are unmatched. To start, LED Lights are significantly better for the environment than incandescent lights. They are cost-efficient and require less frequent maintenance. But why LED Lights in your spa? Hot tubs that are custom built into a swimming pool have an ostentatious appeal to them; placing LED Lights in the spa will enhance the vibrancy and brightness to your backyard even more. Spas add value and a tranquil aesthetic to your humble abode, and even a singular LED light bulb can make a world of difference. The beauty of working with Pools by Design is that we offer custom designing the structure, style, and color of your spa. If you were thinking about building a traditional pool in your backyard, you would want to consult with our team about a pebble tec pool. Pebble tec pools give off a simplistic, yet opulent vibe. The earthy texture provides the durability, non-slip and stain-resistant surface that is perfect for the safety and luxury of your pool. This elegant look will increase the aesthetic appeal of your overall swimming oasis. From lighting to water features, we are here to get creative with you on your dream spa. 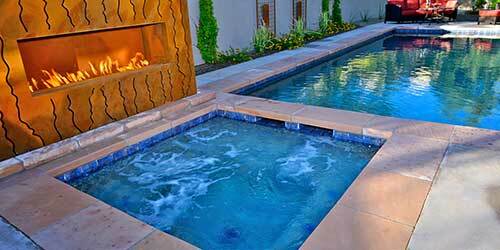 Pools by Design provides a vast menu of options for the discerning spa shopper. The process can be at times mind-boggling because of how many different ways you can custom design your dream jacuzzi, but that is why we collaborate one on one with you to guarantee satisfaction for the finished product. With your unique needs in mind, we can craft a spa of any size, shape, tile, acrylic, glass, steel and build it with class. Do you want an infinity spa that trickles over into the pool? Do you want a waterfall below? Do you want water that shoots across the pool? Anything that you have in mind, we can accommodate. Your hot tub and your pool go hand in hand. There has to be some kind of connection between them. This can be by the physical layout of the pool or the little water features. Water features in your jacuzzi are fun to design. 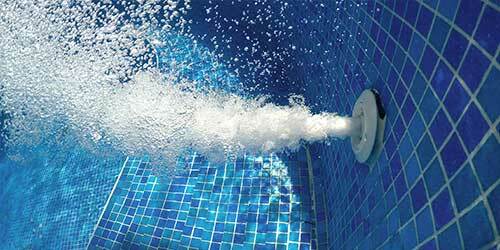 These quirky features contribute to the overall appeal of your pool.